Math on Trial has all the marks of a good mystery: tense conflicts, diverse characters and shocking conclusions… Mathematicians Leila Schneps and Coralie Colmez describe ten trials from the nineteenth century to the present, in which mathematical arguments were used—and disastrously misused—as evidence. It tells the real story of frauds and forgeries involving the likes of Charles Ponzi, Hetty Green, and Alfred Dreyfus, among others. 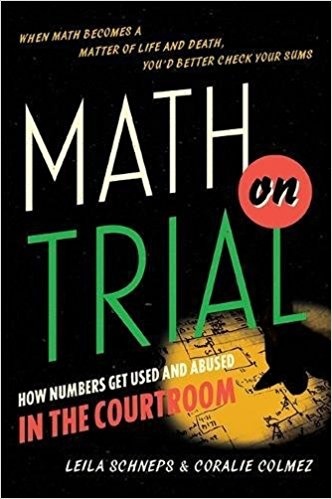 Numerical errors are not unique to the courtroom: similar issues crop up elsewhere in life, which makes this book's message even more important. Gripping and insightful, it successfully highlights the dangers of carelessly sprinkling mathematics over real-world problems. 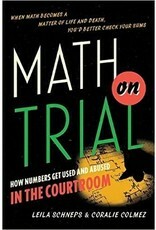 Math on Trial is intrinsically fascinating in its depiction of the frailty of human judgments.